For the month of July 2017, Eireka at ACF Equipment Suppliers is offering customers a half price grain bucket when they purchase a CAT telehandler. With a range of Caterpillar telehandlers for sale and many customers handling grain at the moment, it is a great time to take advantage of this great offer. 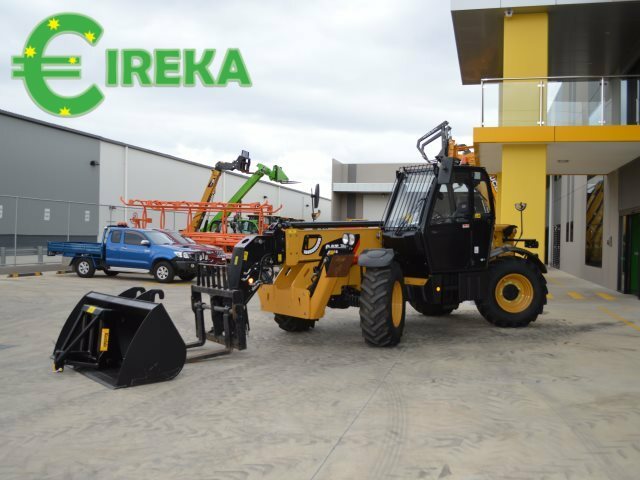 Eireka has launched the prrrrfect CAT Sale at ACF Equipment Suppliers in Penrith. 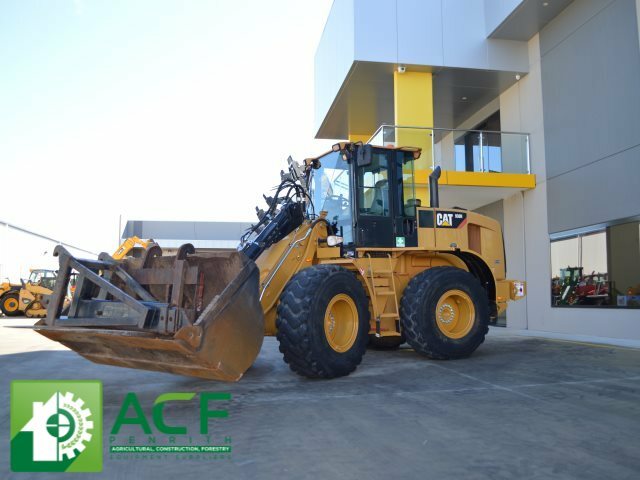 With a good supply of quality Caterpillar products in multiple machinery categories there is never a better time than right now to come to ACF Penrith to purchase a CAT. Videos are a popular modern medium. What better way to look at the range of Kioti tractor for sale by viewing the Kioti Tractor videos. 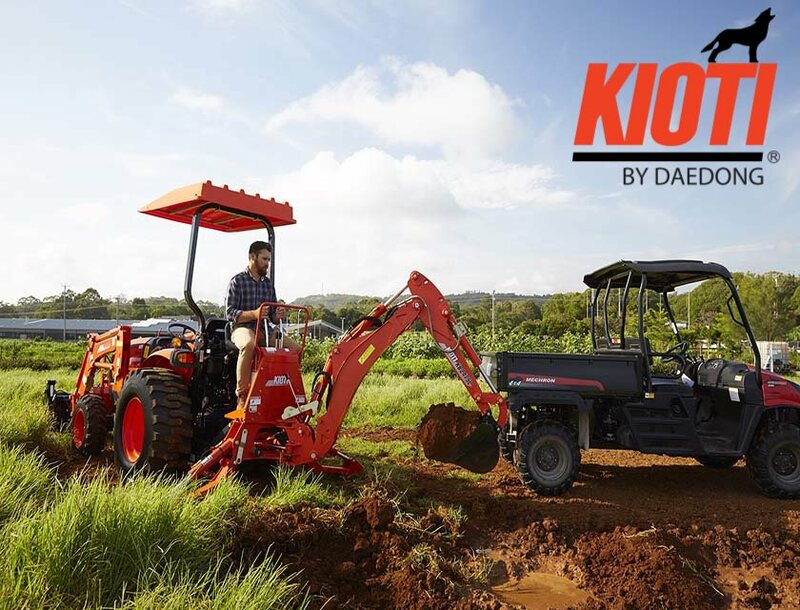 Kioti representative, Duncan, can point out all the features of the popular Kioti CK tractors in the walkaround video. 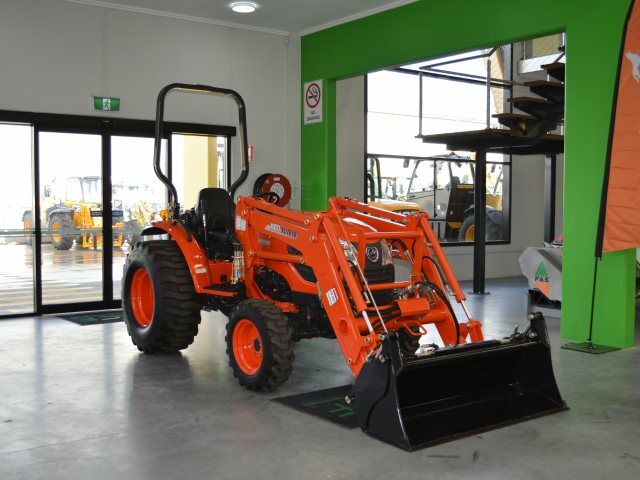 ACF Penrith stocks the new generation Kioti CK4210 Tractor. The 42Hp tractor comes in manual or hydrostatic transmission, with the HST model being a clear favourite. The high ground clearance of 340mm is also a good feature in a tractor. Eireka @ ACF Penrith has a range of Telehanlders for Sale. Stocking quality brands in Caterpillar, JCB, Merlo, Dieci, Ausa etc. 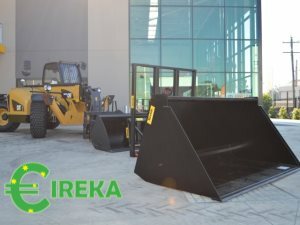 Eireka caters for the construction and agricultural clientele with a also a range of attachments available.